John L. Sorenson's 1992 The Geography of Book of Mormon Events: A Source Book pp. 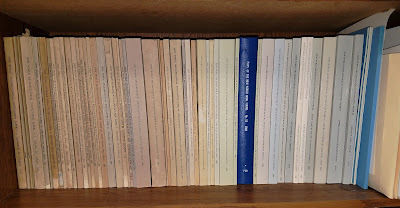 115-119 includes Book of Mormon maps and commentary by Gareth W. Lowe (1922-2004). Who was Gareth Lowe? He ran the New World Archaeological Foundation (NWAF) from 1959 to 1987. He and John L. Sorenson were fellow graduate students at BYU in the early 1950's. They worked together in the first (privately funded) NWAF field season in Tabasco in 1953. Lowe went back down to Mexico with the second (Church funded) NWAF field season in 1955 and never left. He was one of a handful of LDS Mesoamericanists who rose to the highest levels in the profession (others that come to mind are John E. Clark, Allen J. Christenson, and Richard D. Hansen). Lowe was the world's expert on Chiapas in his day. He was one of the top dirt archaeologists in the world and an indispensable source on pre-classic southern Mesoamerica. See the blog article "Zarahemla ca. 1955" for more information about Gareth Lowe and some of his renowned colleagues. Lowe's daughter, Lynneth Lowe Negron, is a leading archaeologist in Mexico today. Even though the Church invested millions of dollars in NWAF over the years and important Church leaders such as Howard W. Hunter chaired its board, the professional staffers seldom mentioned the Book of Mormon. Many were not members of the Church. For years Gareth Lowe and John Sorenson were a formidable tag team - Lowe in Mexico and Arizona directing a first-rate archaeological enterprise, Sorenson in Utah and California analyzing, synthesizing, and interpreting field reports with an eye to Book of Mormon implications. 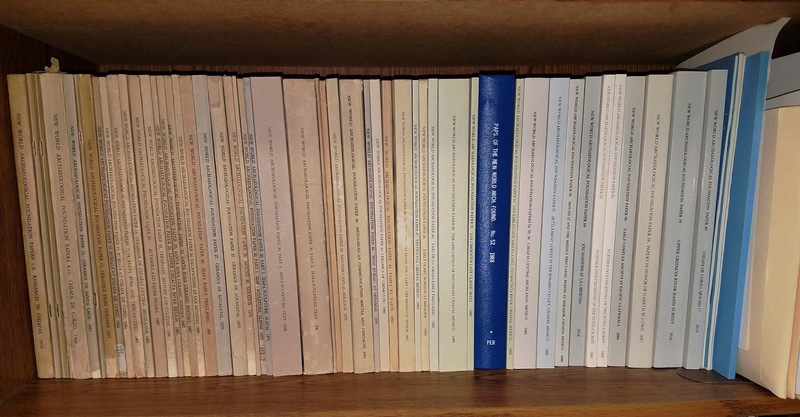 The photo above shows my personal collection of the NWAF Papers series. I have been collecting these for years and still lack many titles. This series represents Gareth W. Lowe's life's work. So, where did Gareth Lowe think the Book of Mormon took place? In July, 1960, he envisioned the setting in Nicaragua, Honduras, and Guatemala with the Ulua as the Sidon and Cumorah in southern Belize. By October, 1960, he had changed his mind. He imagined the setting in Honduras, El Salvador, Guatemala, Belize and Mexico with the Usumacinta as the Sidon and Cumorah in the Tuxtlas of southern Veracruz. The narrow neck he correlated with sand bars along the Tabasco coast. Tonala, Chiapas was his boundary between the lands northward and southward. The city of Zarahemla he placed in the vicinity of Tonina, Chiapas. In 1960, Lowe was thinking out of the box in three important ways. 1) He may have been the first to suggest coastal sandbars (a peninsula rather than an isthmus) as the narrow (small) neck of land. 2) He was considering the Olmec culture core boundary as the dividing line between lands northward and southward which makes considerable sense since the two land designations originated with the Jaredites. 3) He was envisioning Zarahemla considerably downstream on the Sidon rather than just beyond the headwaters region. By the early 1970's, Lowe re-thought his correlation and shared his most complete Book of Mormon map. He was the first to propose some correlations I previously thought were original with F. Richard Hauck whose Deciphering the Geography of the Book of Mormon appeared in 1988. Lowe envisioned the narrow (small) neck of land as the coastal sandbar seaside from Tonala, Chiapas. Ric Hauck, Joe V. Andersen, Javier Tovar, and I agree. This is a crucial point. See the blog article "Red Herrings." He thought the Bountiful/Desolation border which was also the land southward/northward border skirted around Tonala, Chiapas on the Pacific side and La Venta, Tabasco on the Gulf of Mexico side. 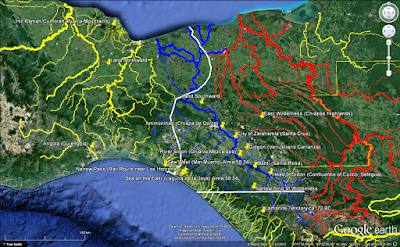 This located all of the Olmec heartland in the land northward. Javier Tovar and I agree. His hill Cumorah was in the Tuxtla mountains of southern Veracruz. Ric Hauck, Joe V. Andersen, Javier Tovar, and I agree, as do most of the contemporary Mesoamericanists studying the Book of Mormon including John Sorenson. Lowe correlated the Sidon with the Mezcalapa/Grijalva. Sorenson and the Allens agree. Lowe placed the city of Zarahemla at the site of Santa Cruz, Chiapas. I believe he was the first to propose this correlation which I find more convincing than Sorenson's Santa Rosa further upstream. He put the narrow pass near his narrow neck on the Pacific coast at the site of Los Horcones where Cerro Bernal forces the trans isthmian railroad almost into the ocean. Lowe was convinced this was the most naturally defensible place along any coastline in southern Mesoamerica and a point at which the Nephites could have controlled northward movement along the relatively narrow Pacific coastal plain. Ric Hauck, Joe V. Andersen, Javier Tovar, and I agree. Ammonihah he located at Chiapa de Corzo, east of the big river. V. Garth Norman came to this same conclusion in 1966, that Ammonihah was east rather than west of Sidon. Javier Tovar and I agree. This is another crucial point. See the article "Red Herrings." Moroni's fortified line referenced in Alma 50:10,11 Lowe envisioned as a straight east-west line connecting Pijijiapan with La Libertad, Chiapas and beyond. Most interpreters equate this with the narrow strip of wilderness mentioned in Alma 22:27. Almost all current Book of Mormon Mesoamericanists agree with Lowe in principle, although many of them would locate the line further south along the Polochic Fault or the Sierra de las Minas. Lowe identified the head of Sidon as the point geographers consider the head of the Mezcalapa/Grijalva - the confluence of the Cuilco with the Selegua. This idea that the head of the big river is a confluence of tributaries is gaining increased support among modern Book of Mormon mapmakers. 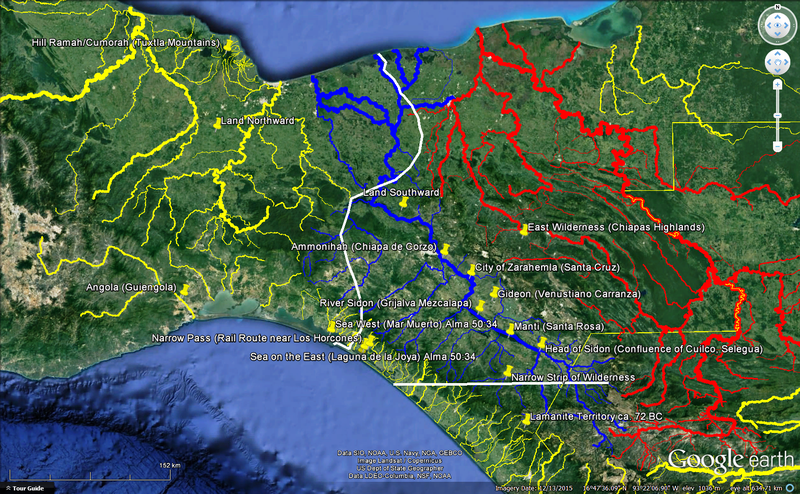 Garth Norman, Javier Tovar, and I agree with the concept even though we think the Usumacinta is the stronger candidate river. Lowe correlated Mar Muerto with the sea west and Laguna de la Joya with the component of that sea that was east mentioned in Alma 50:34. Ric Hauck, Joe V. Andersen, Javier Tovar and I are in basic agreement even though we differ slightly on the details. When a generally accepted map finally brings order to the chaos currently surrounding the Book of Mormon geographic context, I believe some of Gareth Lowe's ideas will prove to have been prescient. 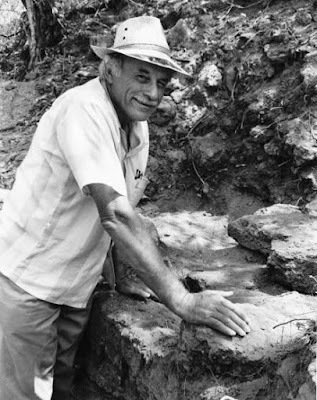 Like Joe and Blake Allen, Lowe was comfortable with the archaeology of the Central Depression of Chiapas, but insistent on cardinal directionality. How Many were Many and Few?